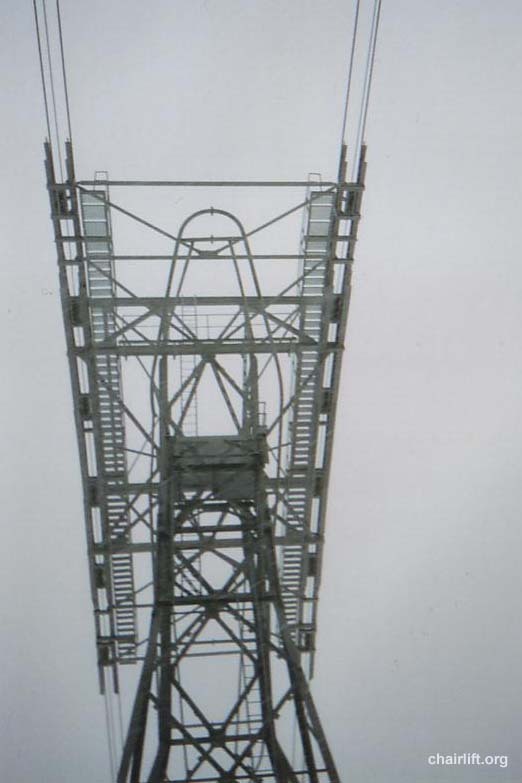 a water tank on the bottom for many years. 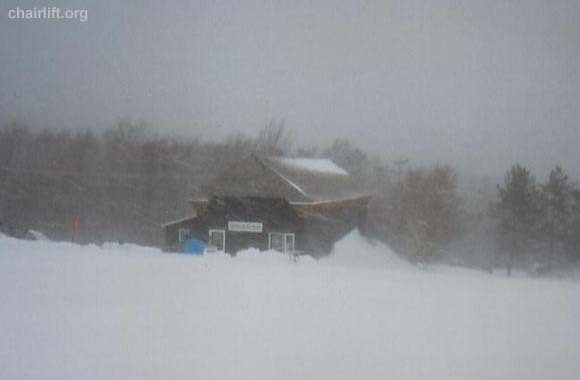 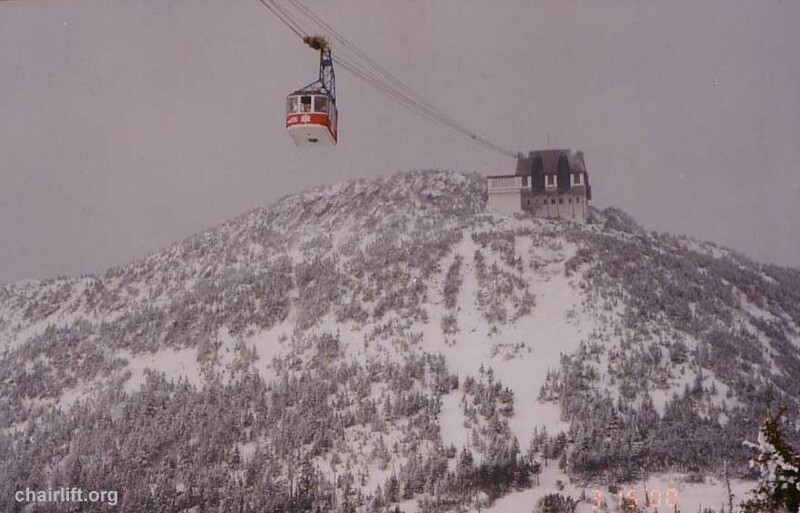 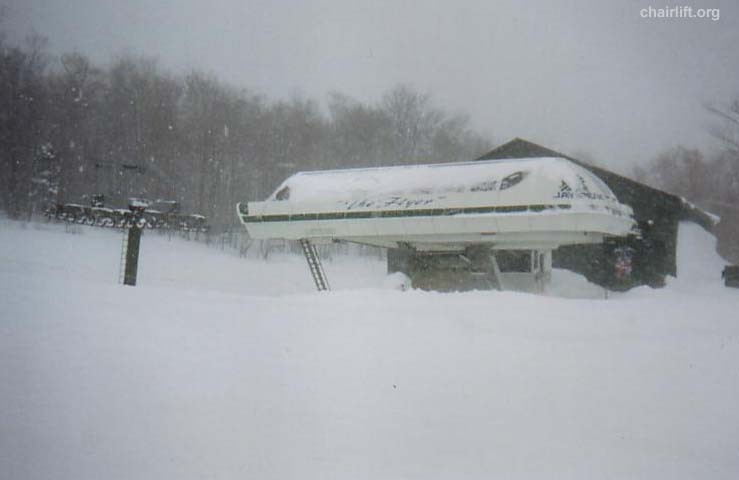 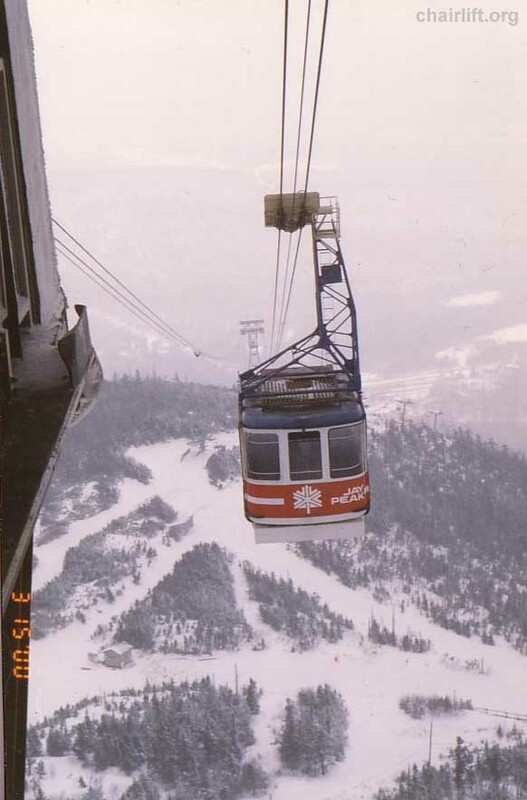 In the summer of 2000 the tram was overhauled and recieved with new white Swoboda cabins. 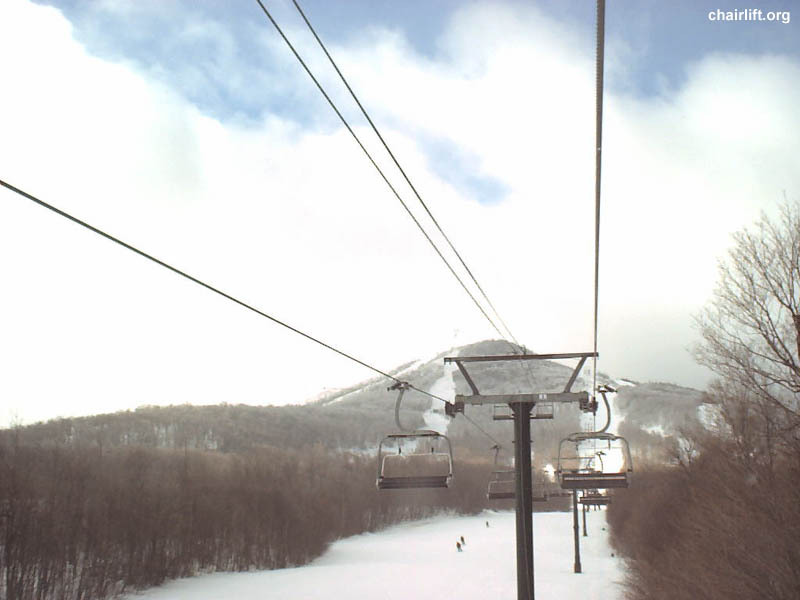 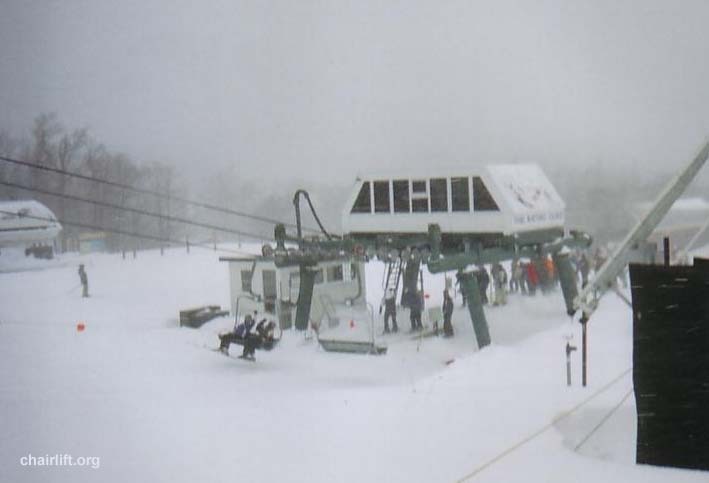 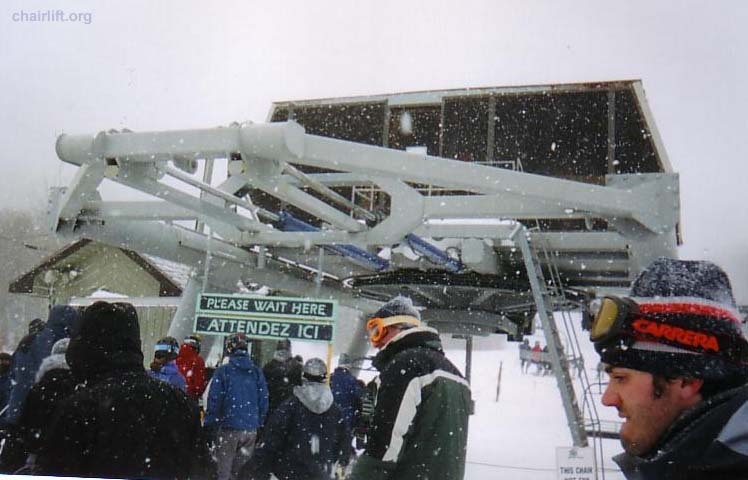 The tram is the only lift today that reaches the summit. 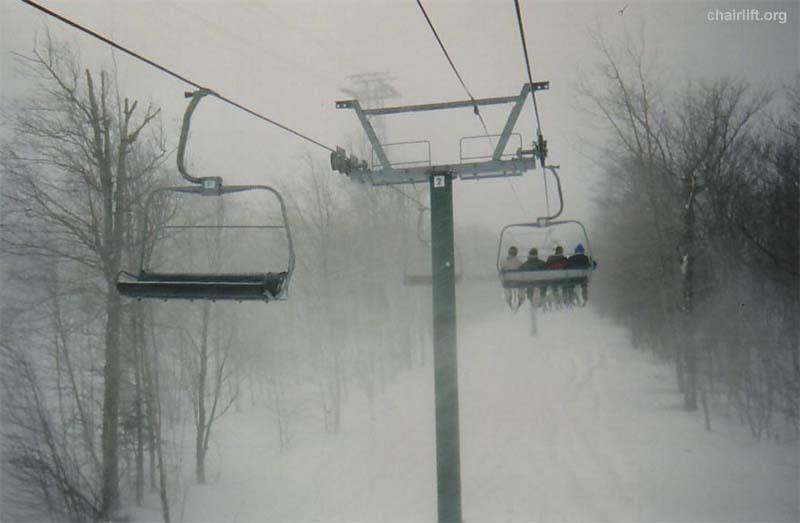 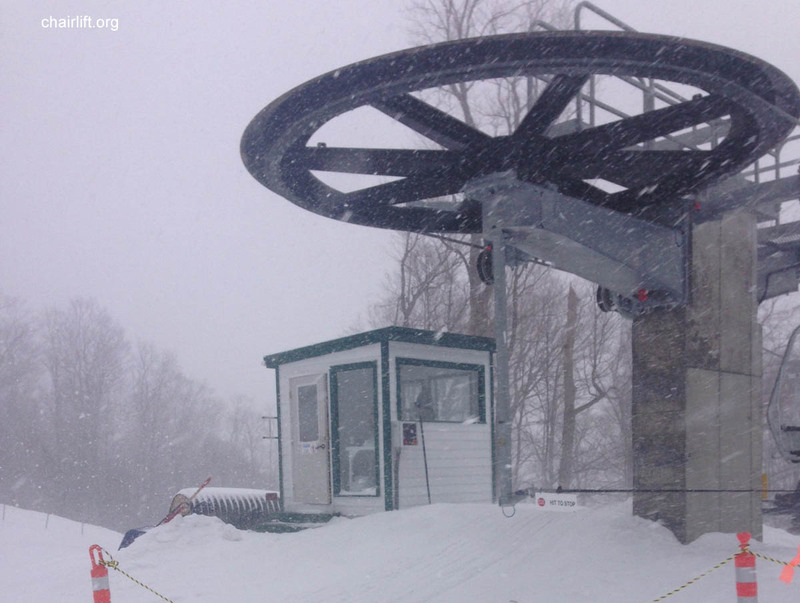 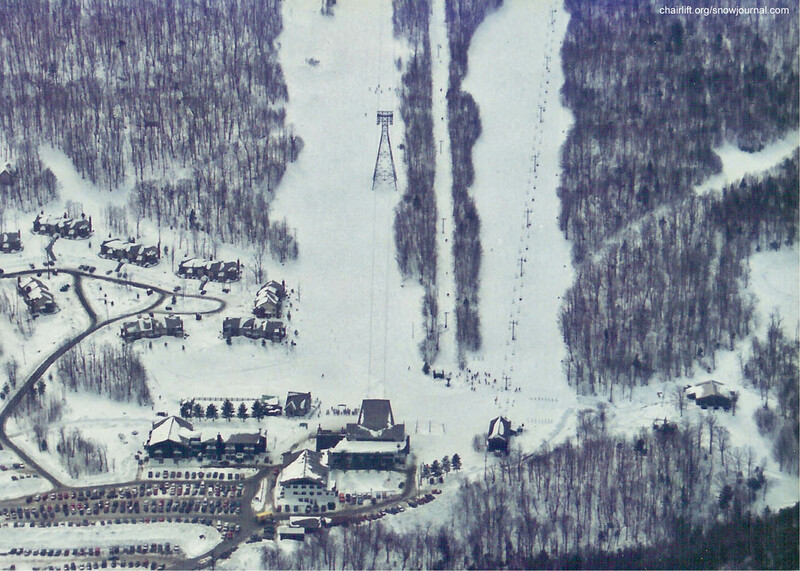 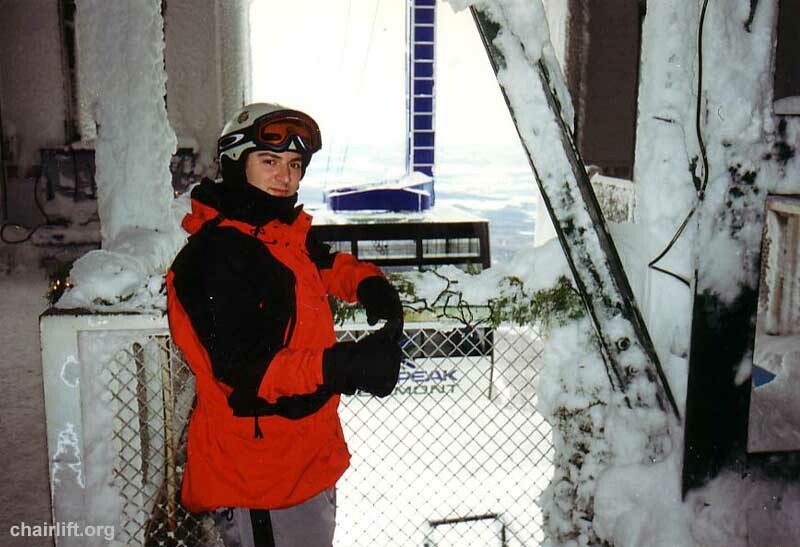 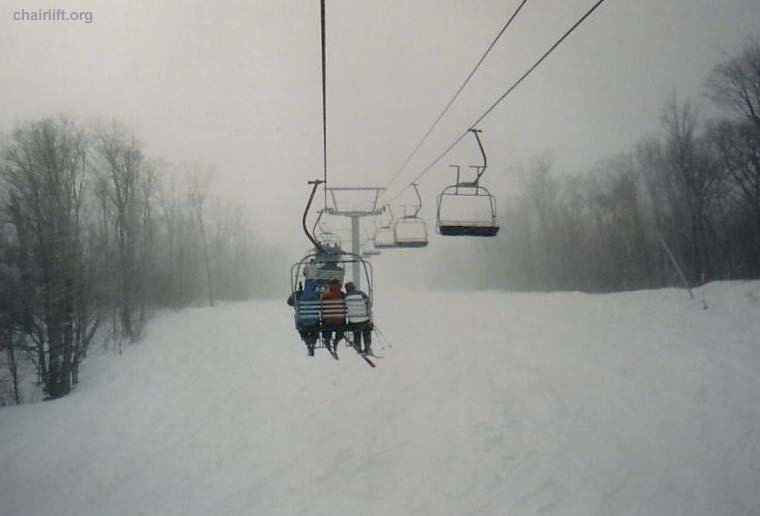 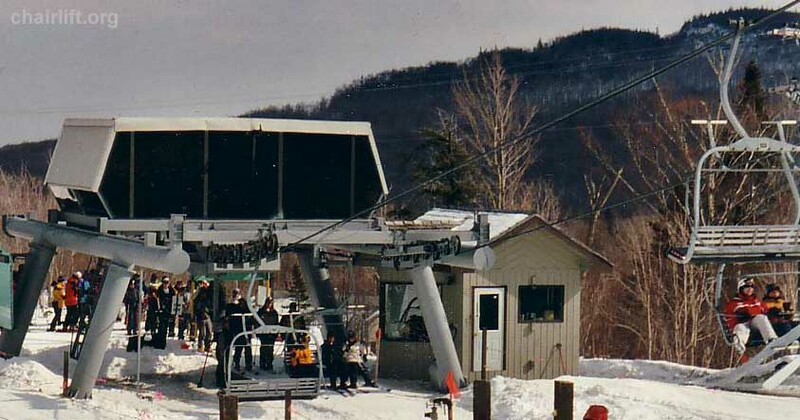 BONAVENTURE QUAD (DOPPELMAYR) - This quad was added in 1987, it connects the Jet area with the Tramside. 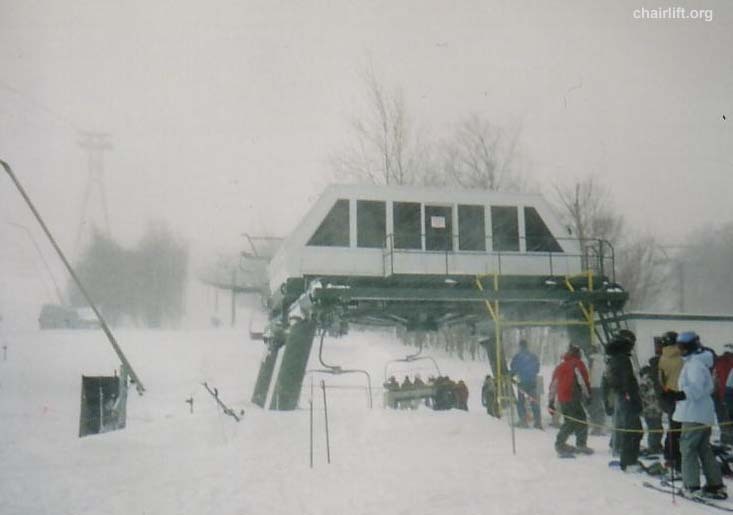 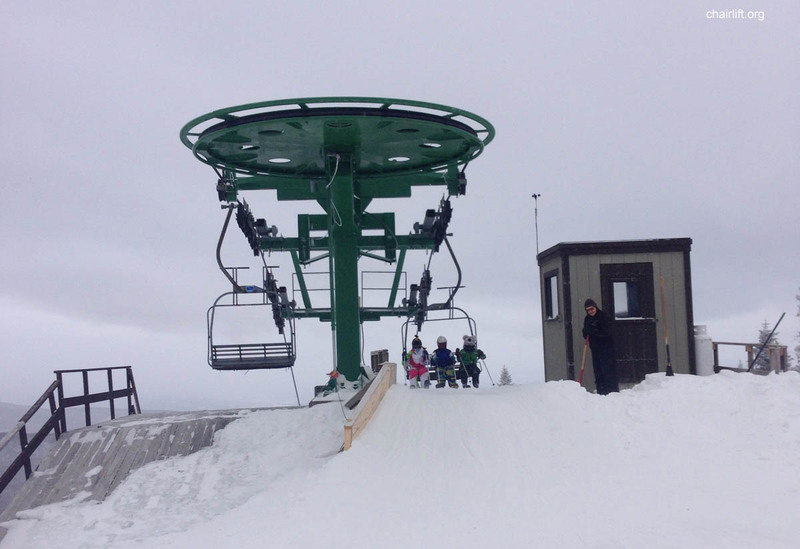 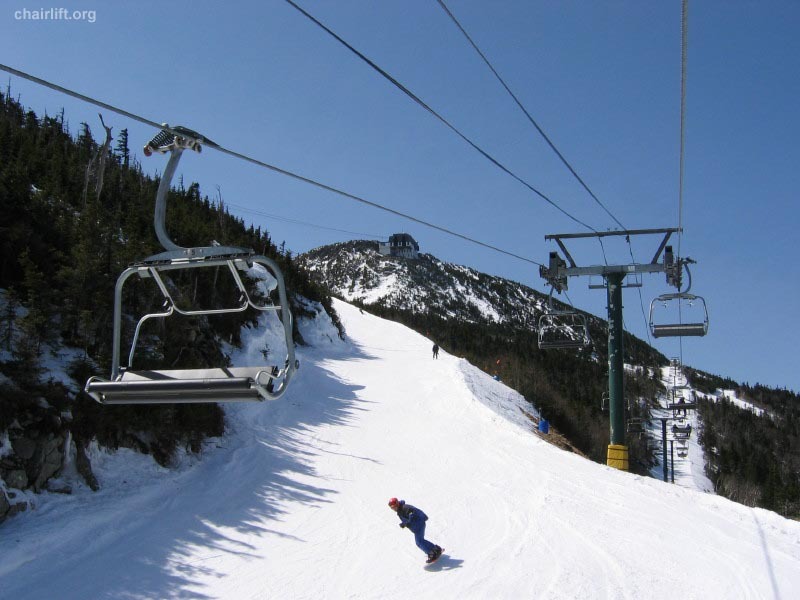 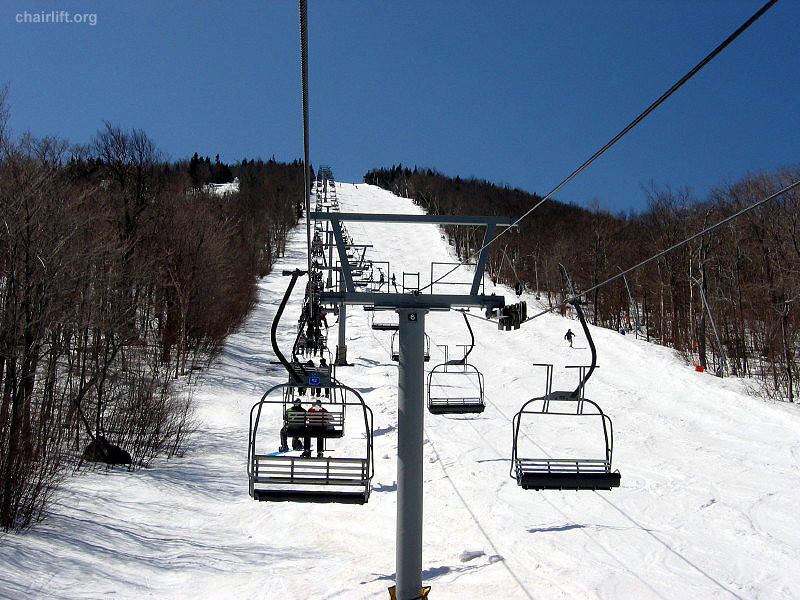 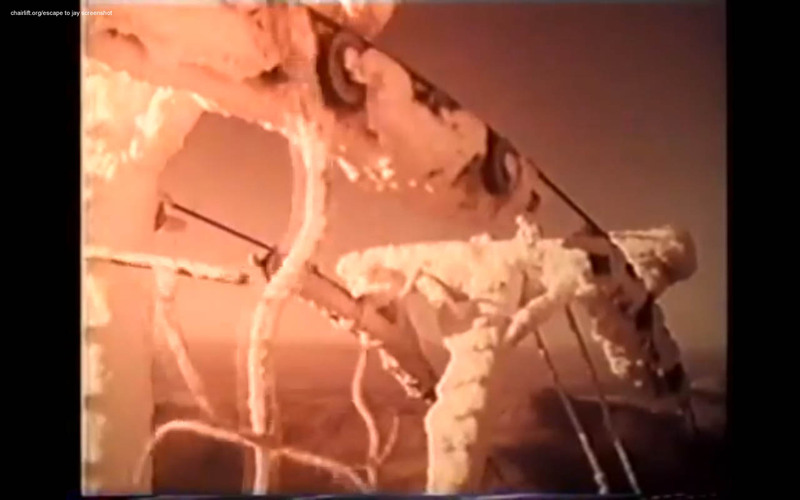 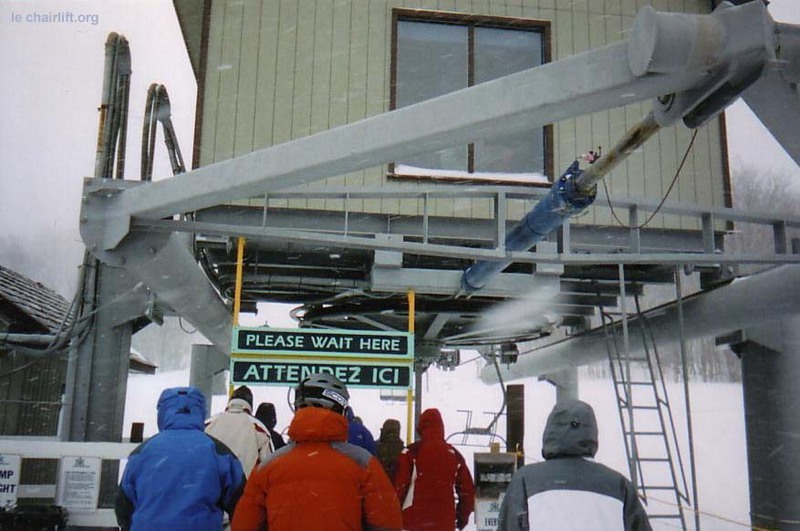 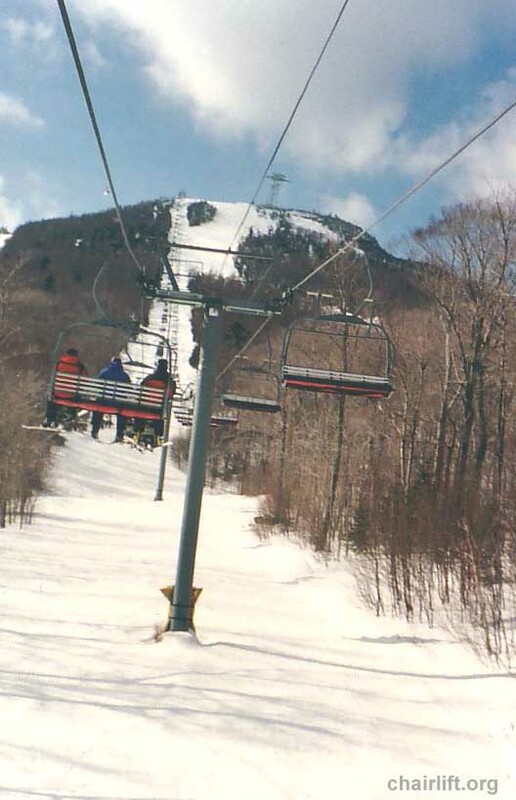 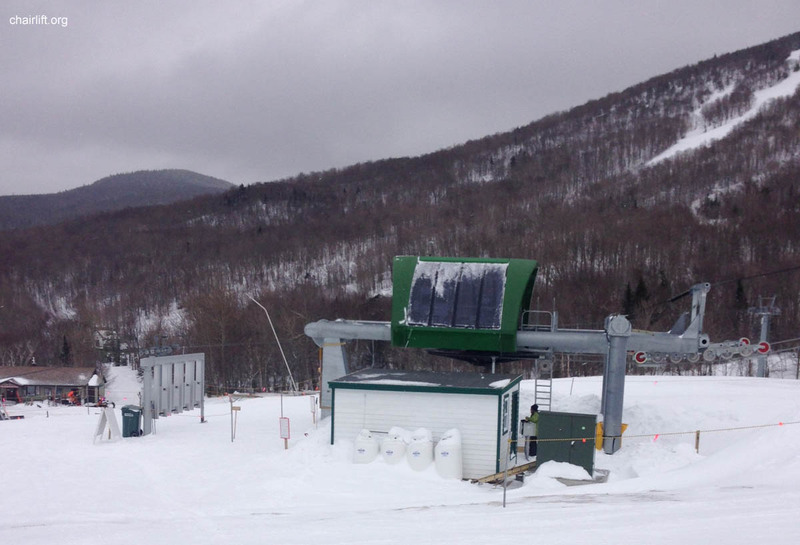 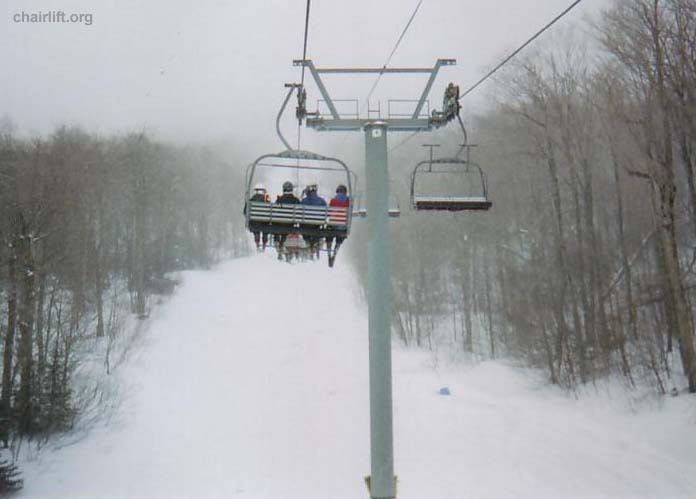 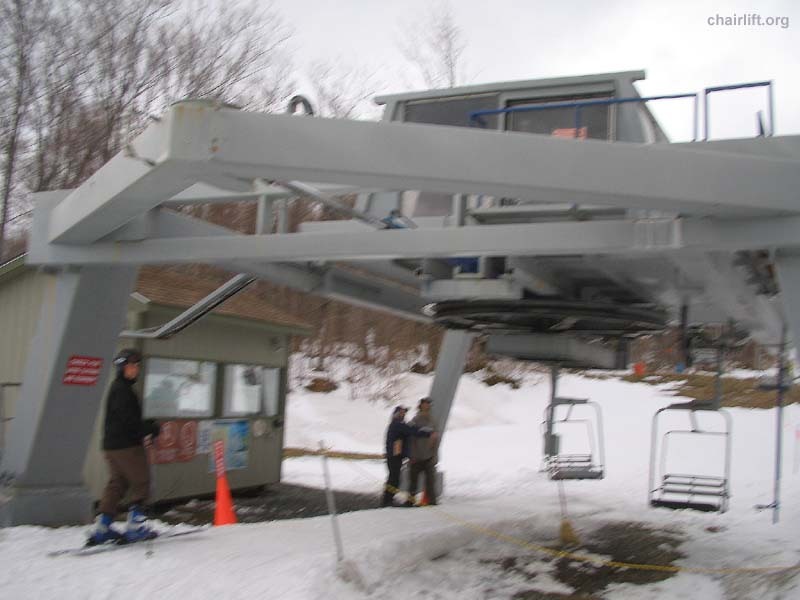 JET TRIPLE CHAIR (DOPPELMAYR) - The Jet triple replaced the Jet T-Bar in 1985.
but extends slightly higher on the mountain's shoulder. 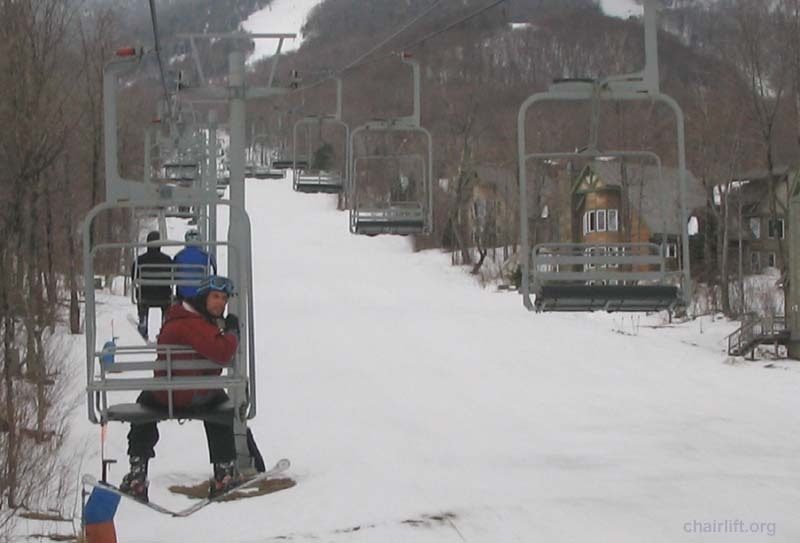 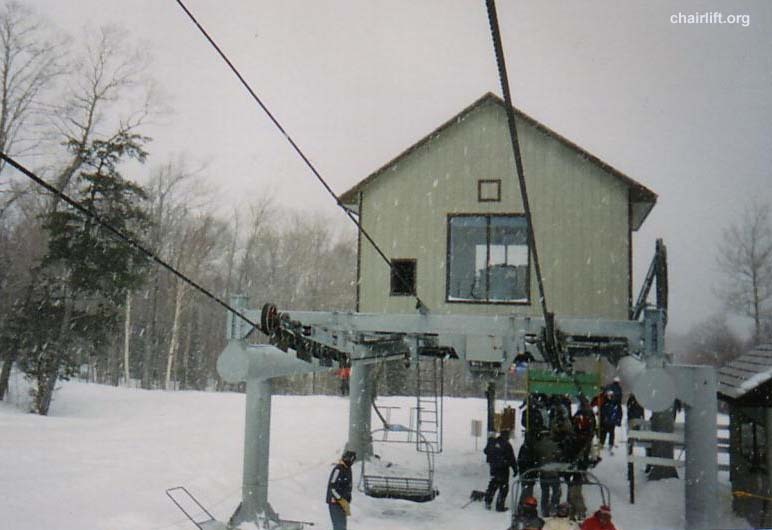 VILLAGE CHAIR (HALL) - This chair services beginner terrain on the lower mountain. 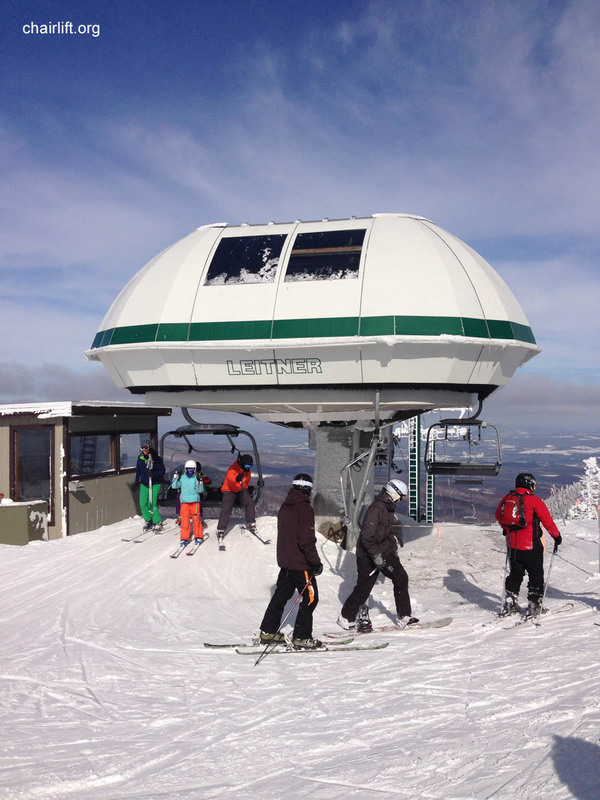 instead of following the Chalet Meadows trail it runs to the top of Lower Can Am. 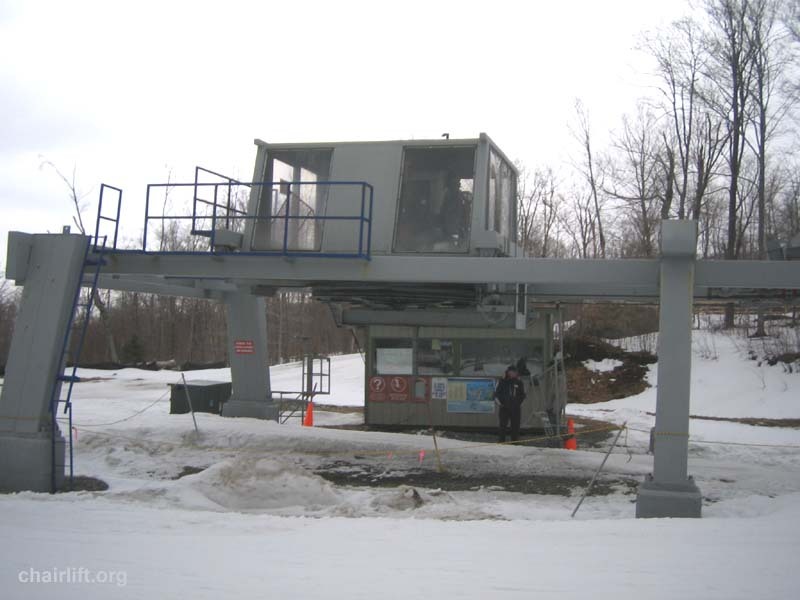 METRO T-BAR (DOPPELMAYR) - This T-bar was replaced by the Metro Quad in 2002. 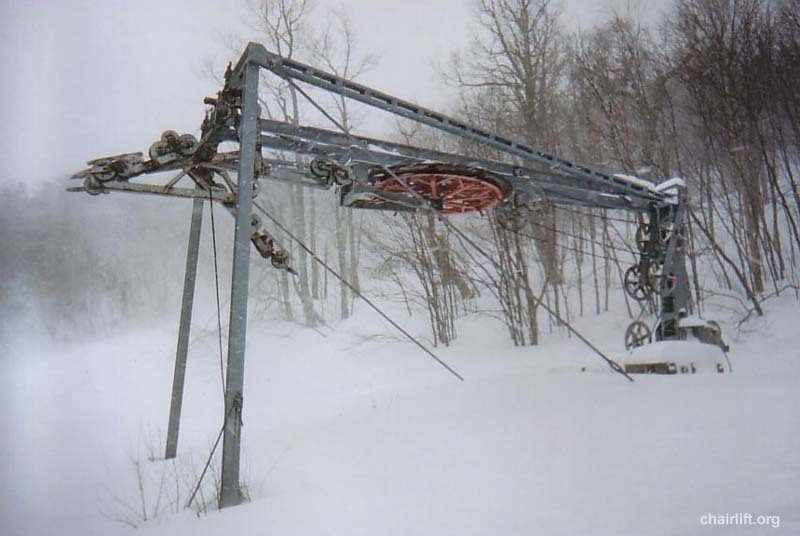 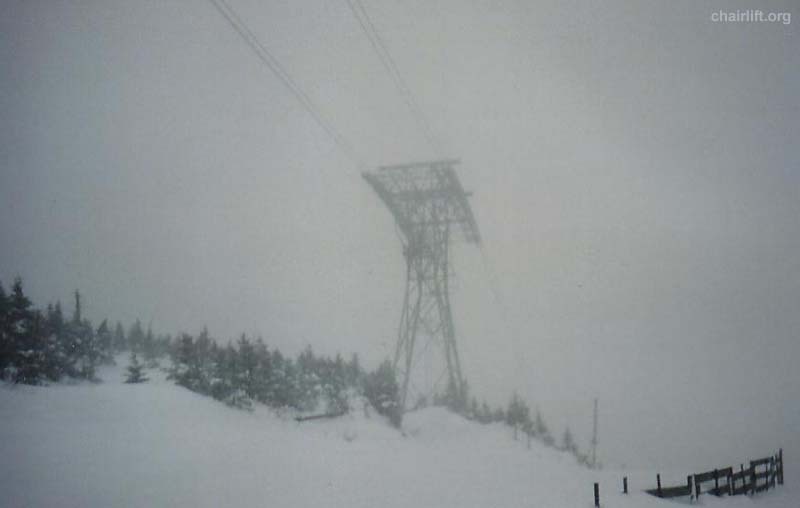 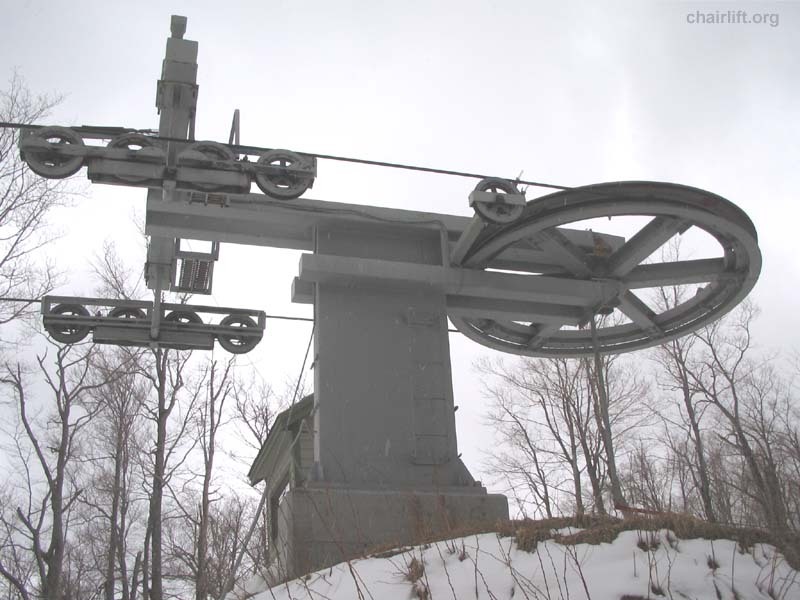 QUEEN'S HIGHWAY T-BAR (DOPPELMAYR) - Removed in 2012, This T-Bar connected the stateside with the tramside base area. 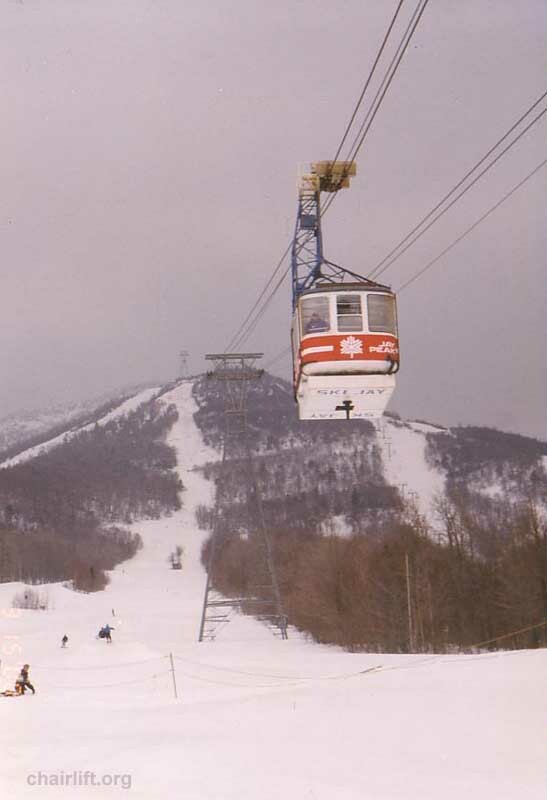 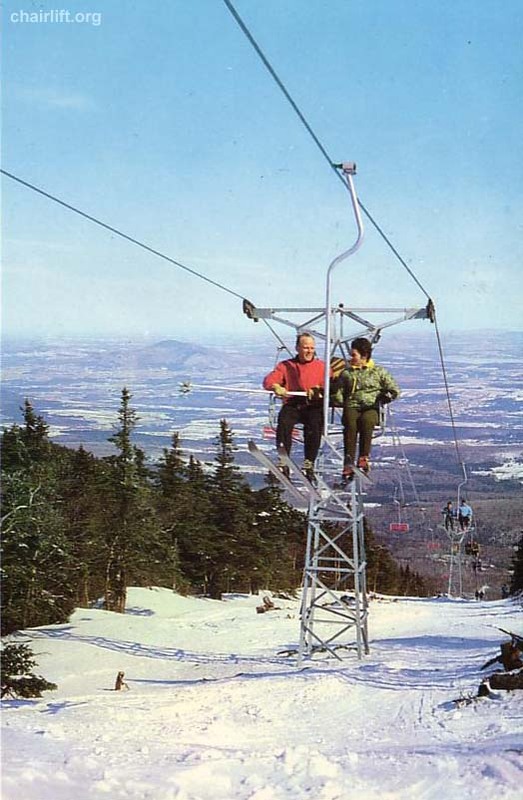 BONAVENTURE DOUBLE (MEULLER) - This 1960 double chair was replaced by the Bonaventure (red) quad in 1987. 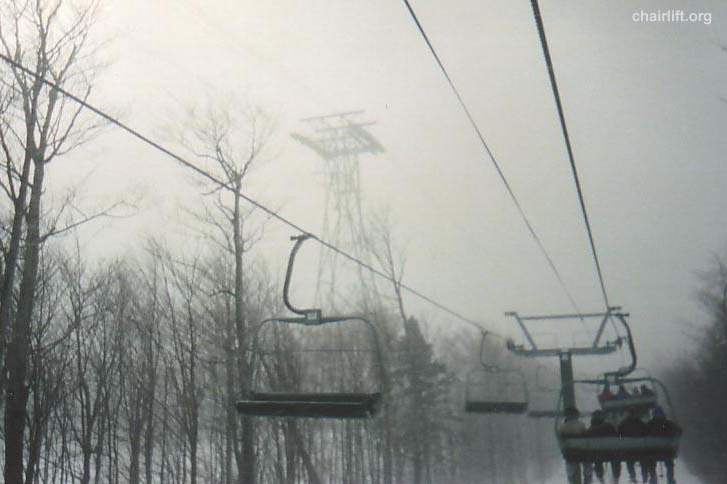 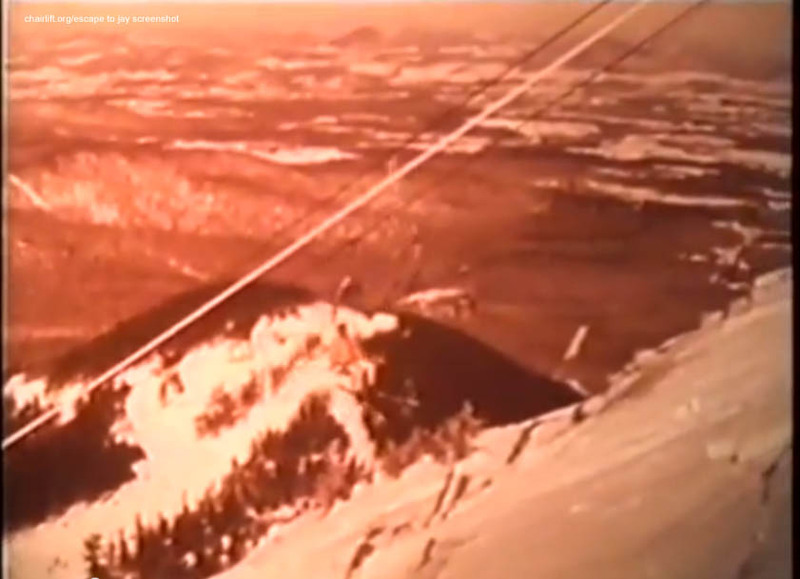 It followed essentially the same liftline except at the bottom where it followed the trail still called Liftline. 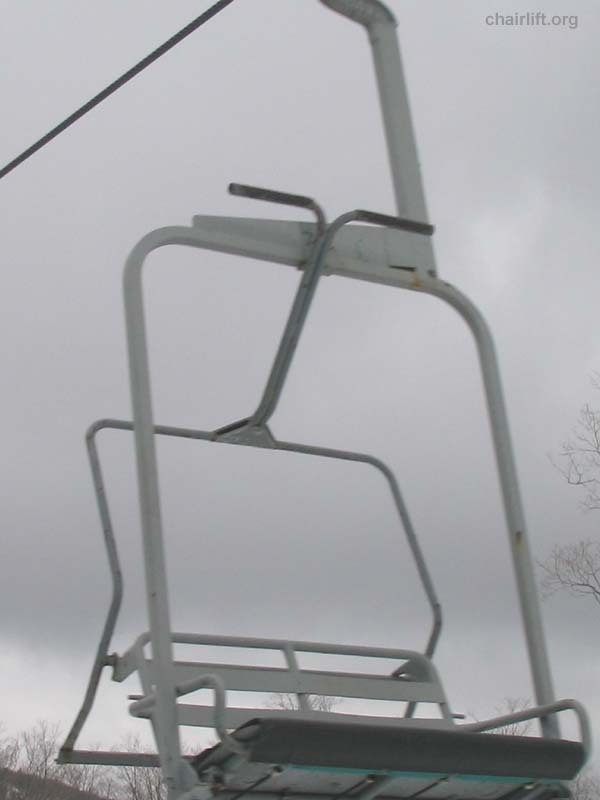 SKYLINE (DOPPELMAYR) - This double chair built in 1968 served the summit in addition the tram. 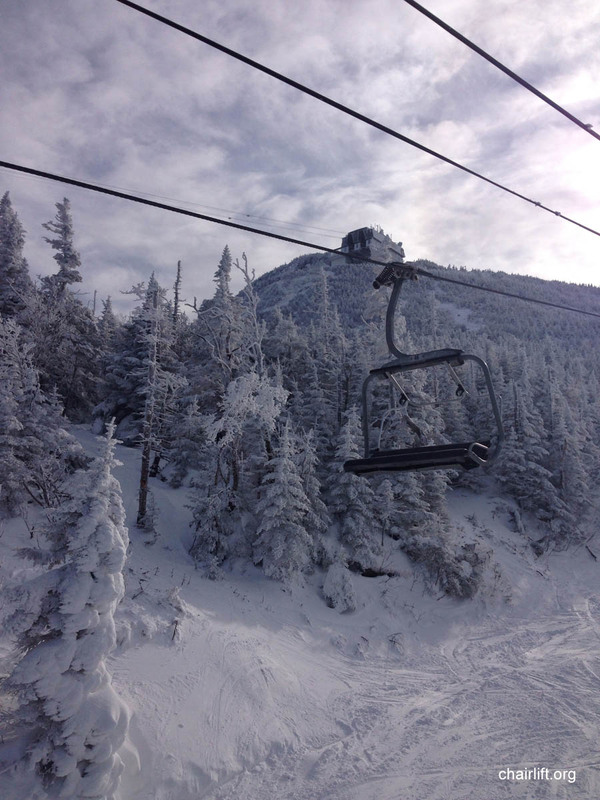 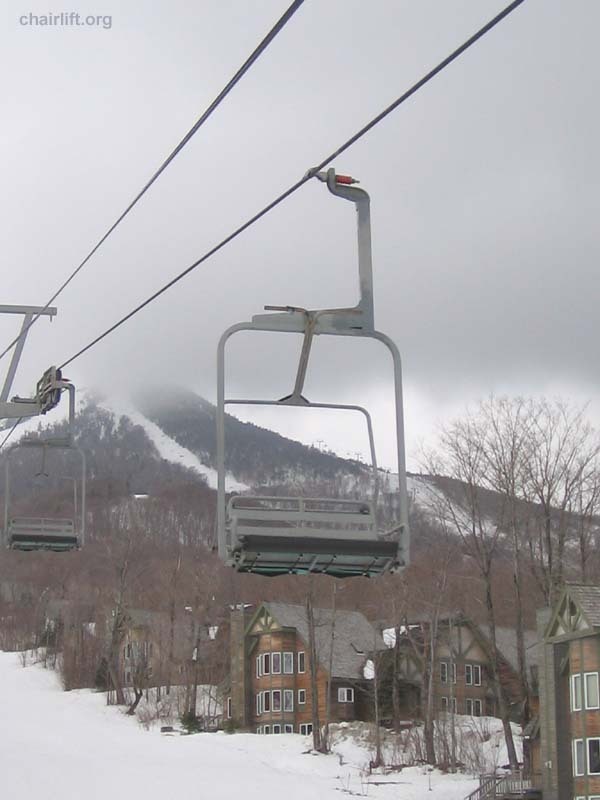 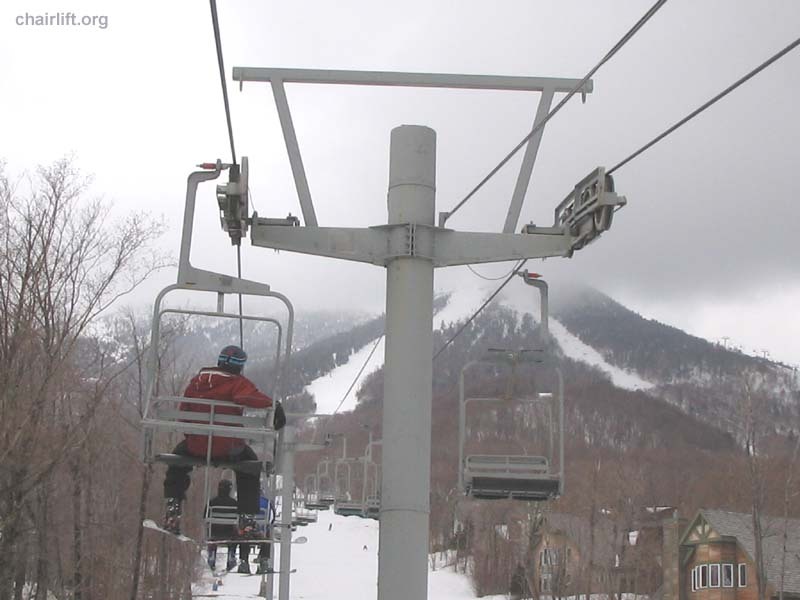 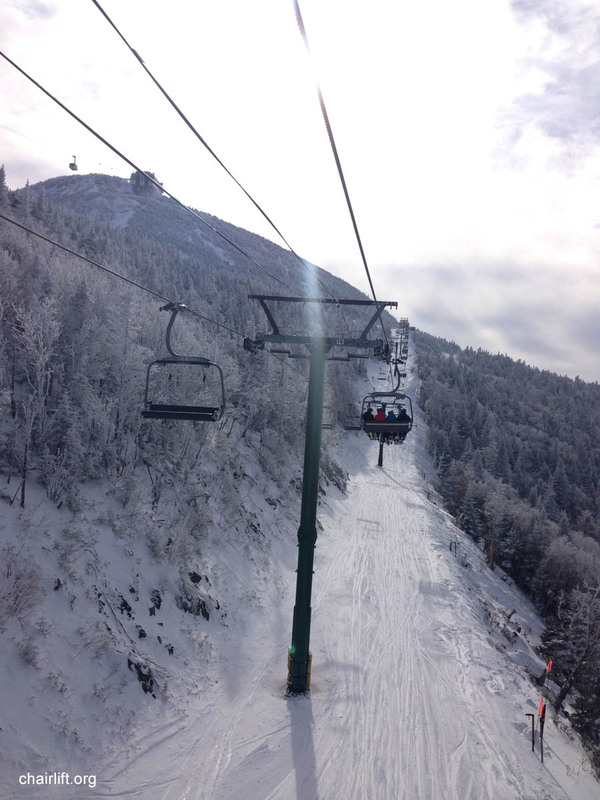 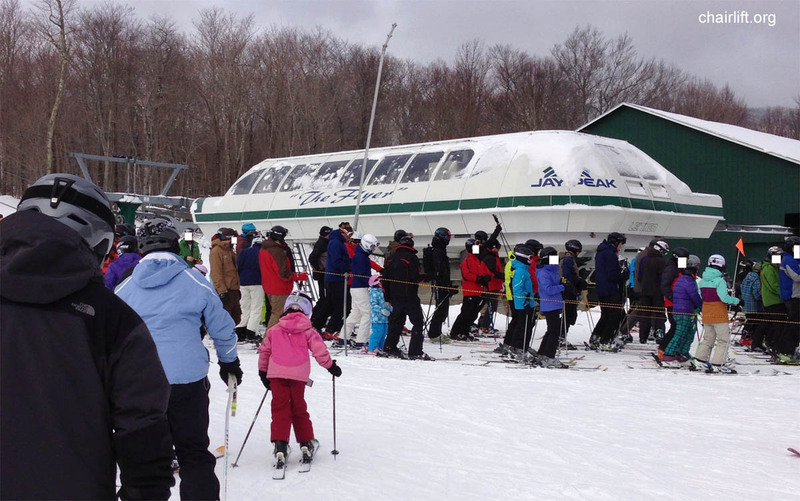 taking the tram and providing for early season sking. 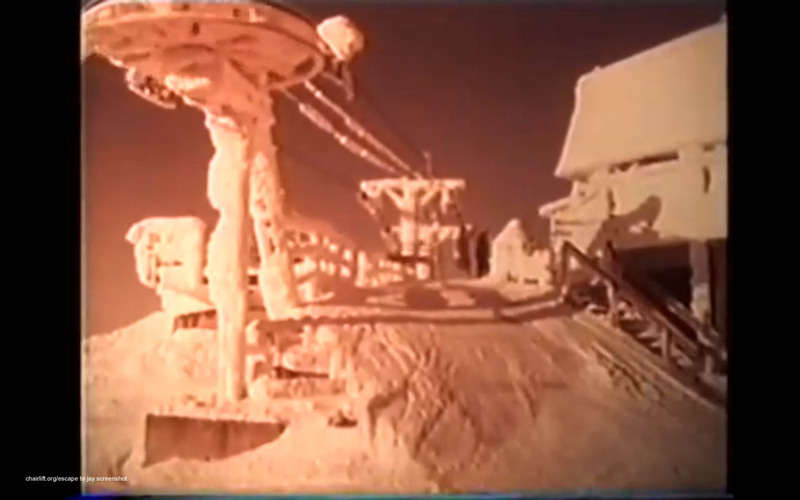 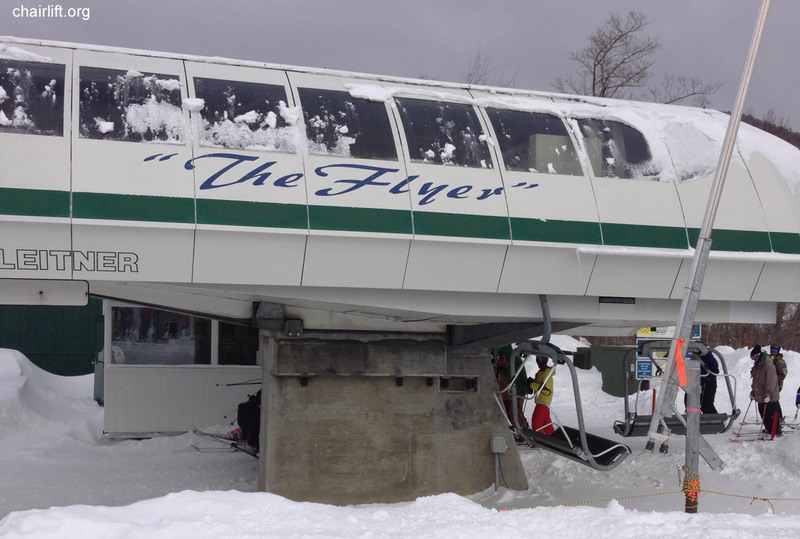 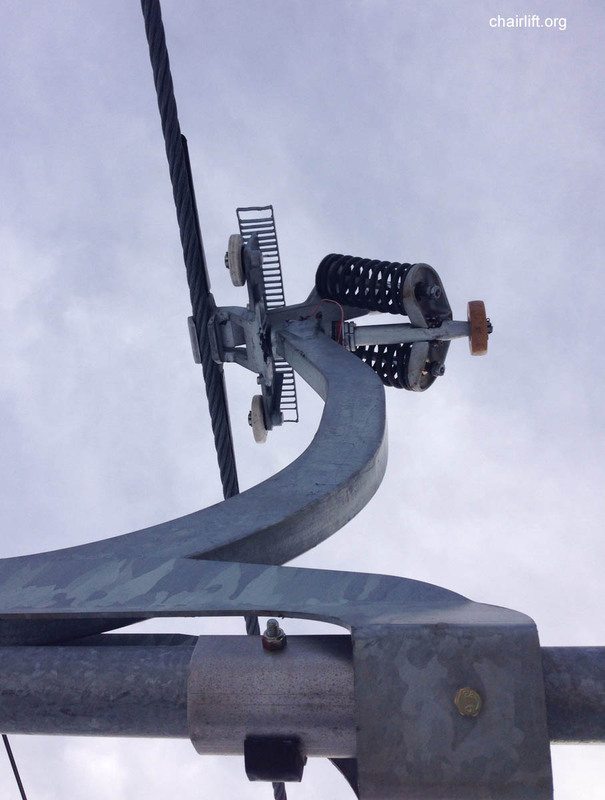 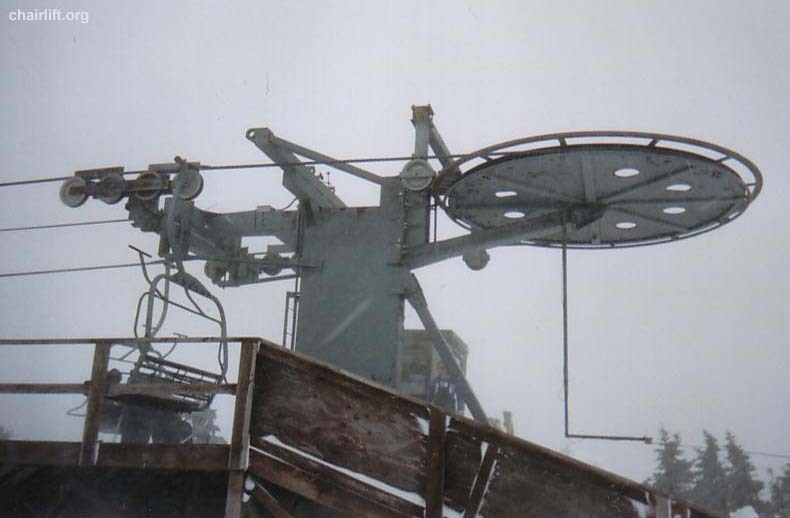 JET T-BAR (DOPPELMAYR) - This T-bar built in 1959 followed the line of the Jet triple chair. 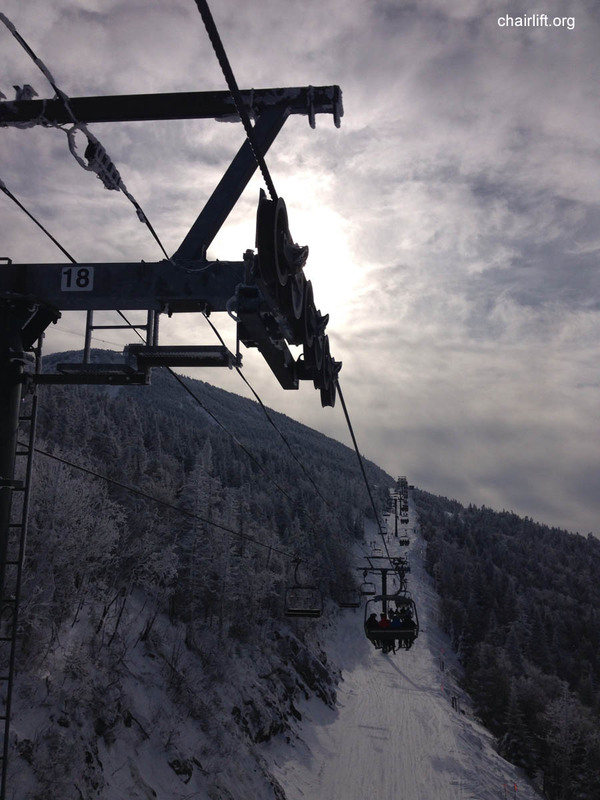 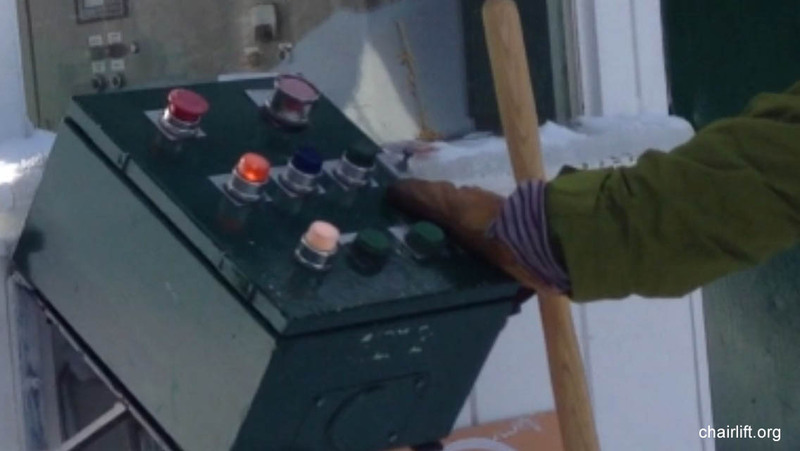 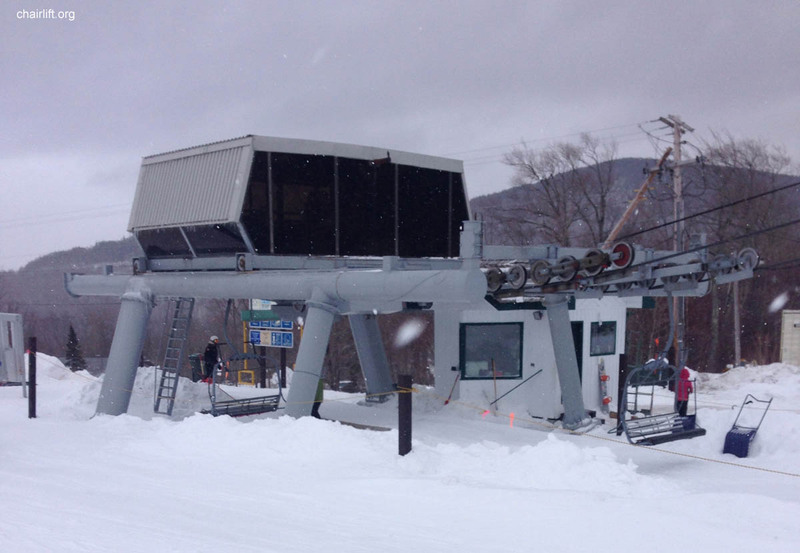 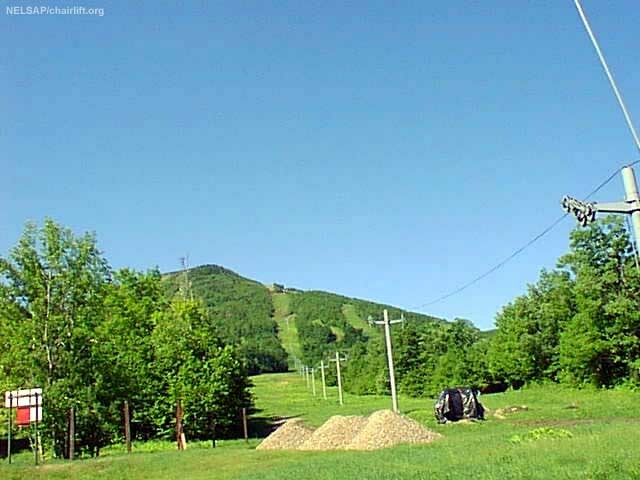 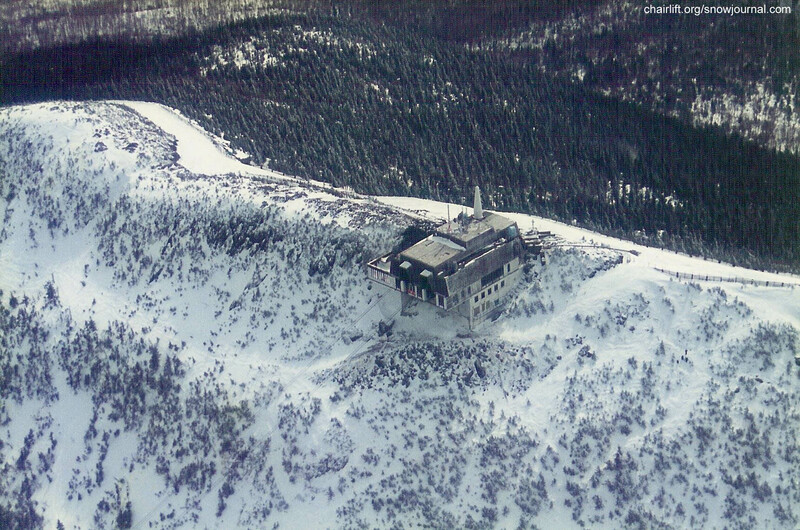 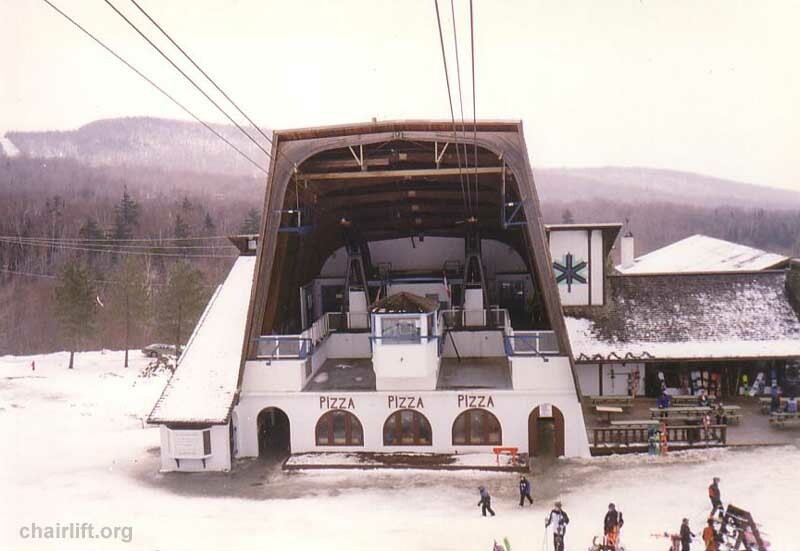 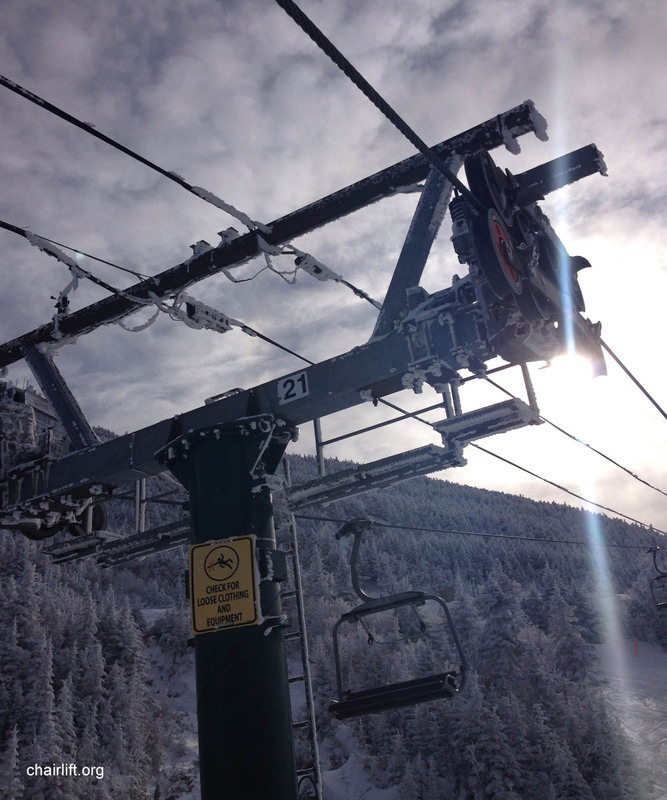 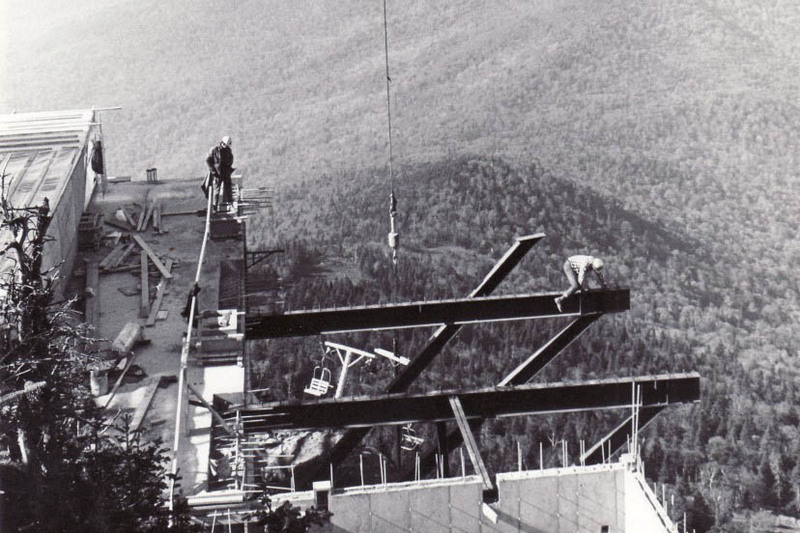 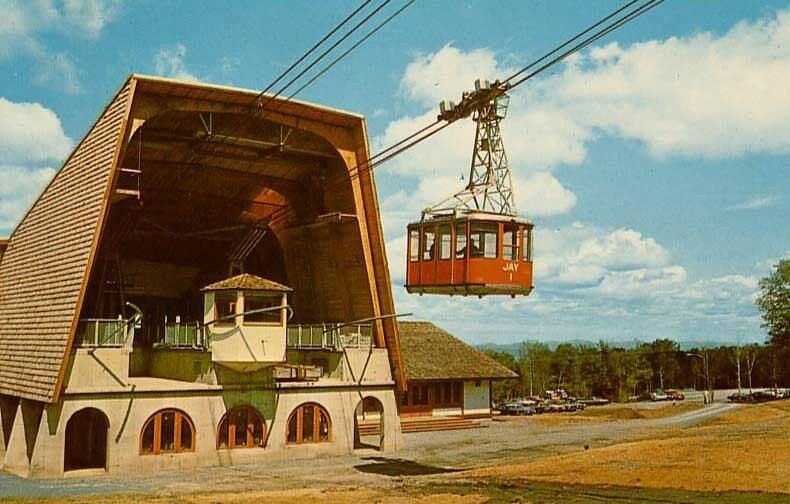 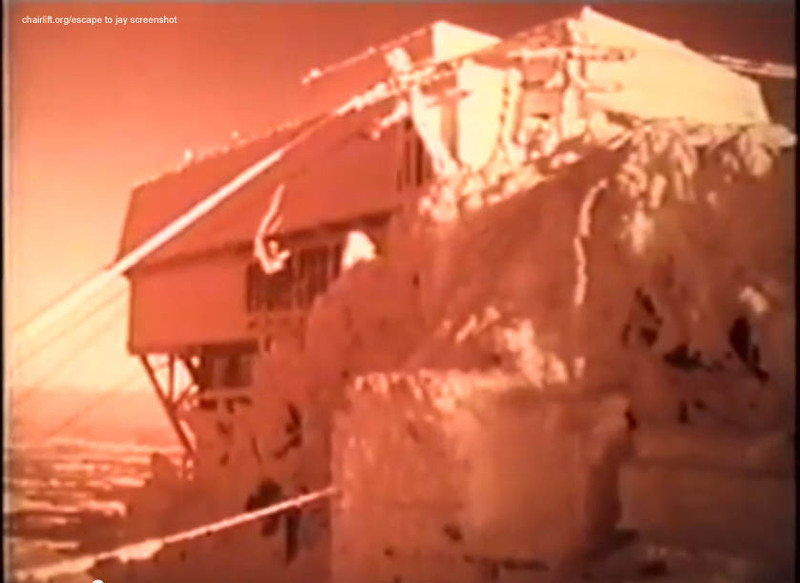 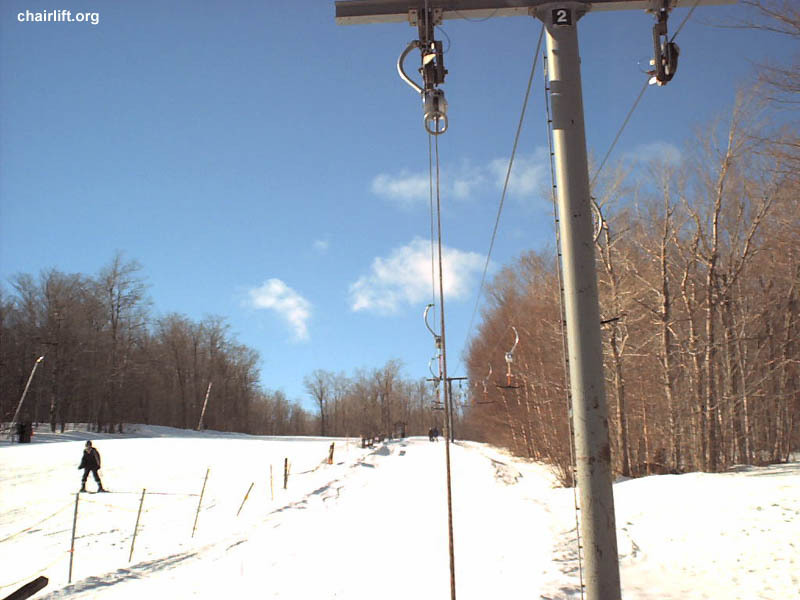 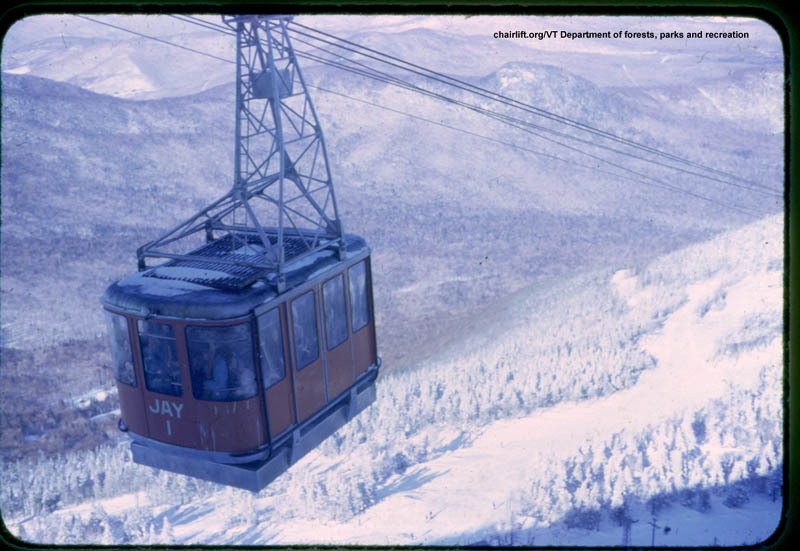 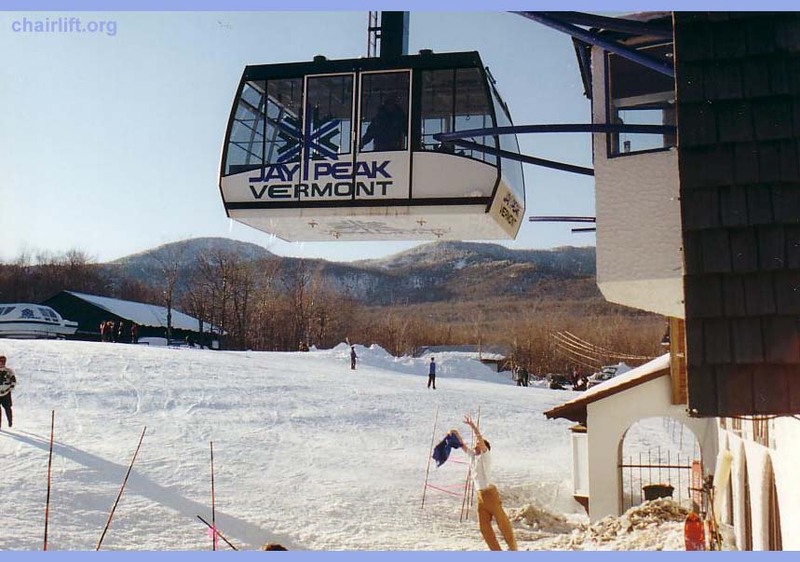 POMA (POMA) - The original lift at Jay installed in 1956 was extended in 1957 and later moved to the summit shoulder. 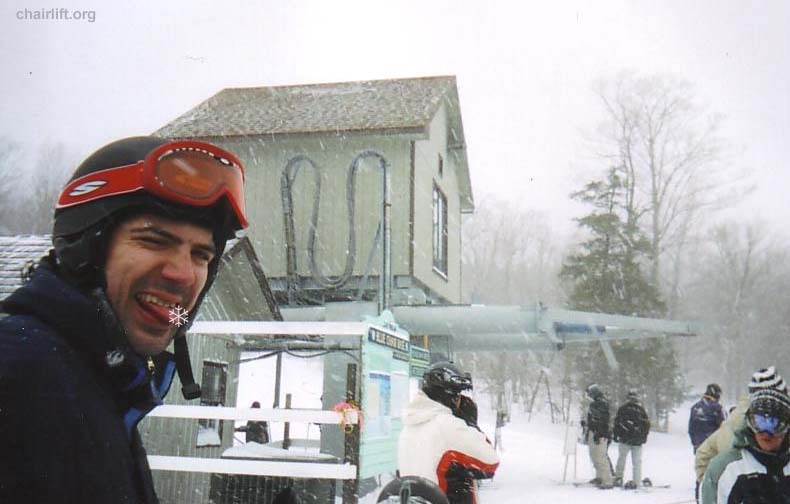 Thanks to Joel B. Pics 60 and 61 thanks to Schweig_1.